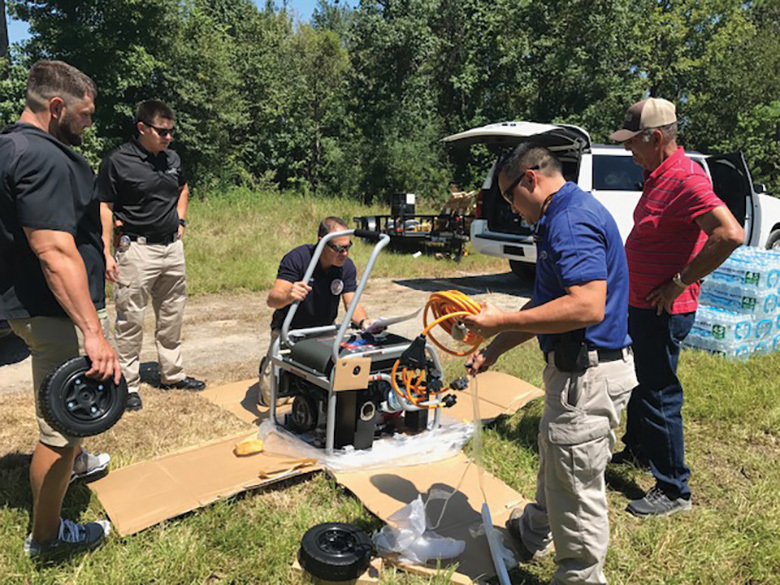 Editor’s note: This abridged article is reprinted from the October 2017 issue of The Thin Blue Line. Sergeant Sandoz is vice president at the Los Angeles Police Protective League. 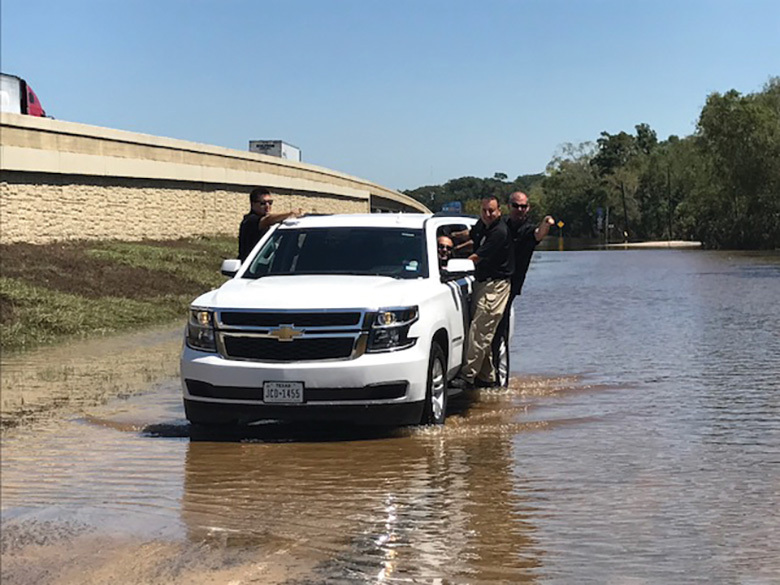 In late August, the City of Houston was hit with Hurricane Harvey, a category four hurricane that left the city devastated. The death toll from Hurricane Harvey was hovering at approximately 70, and the property damage was expected to be in the billions. Mutual aid has poured into Houston from all over the country. 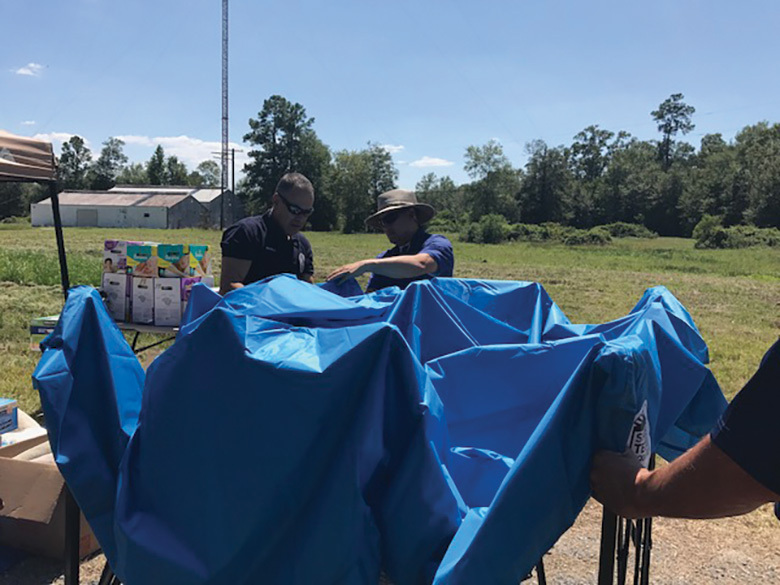 Oftentimes, smaller cities get overshadowed and mutual aid is slow to surface. 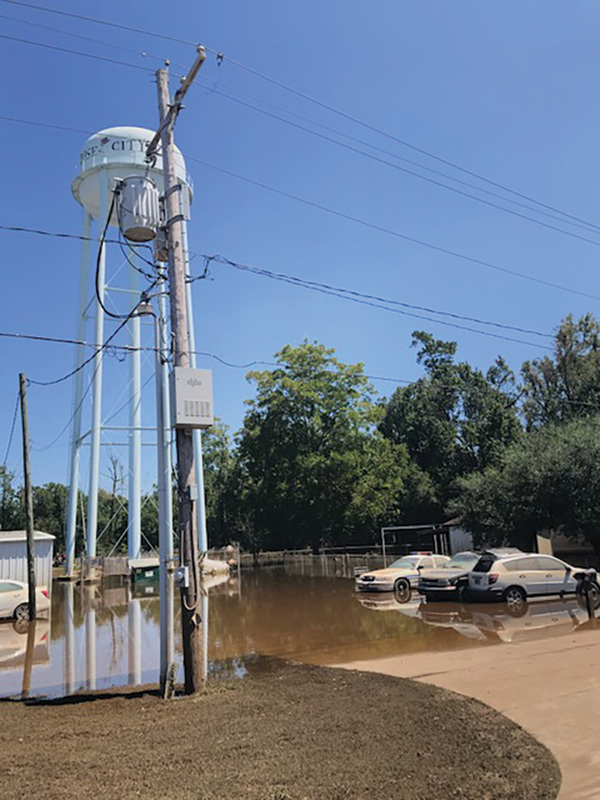 Rose City, Texas, is an extremely small city of approximately 600 residents. 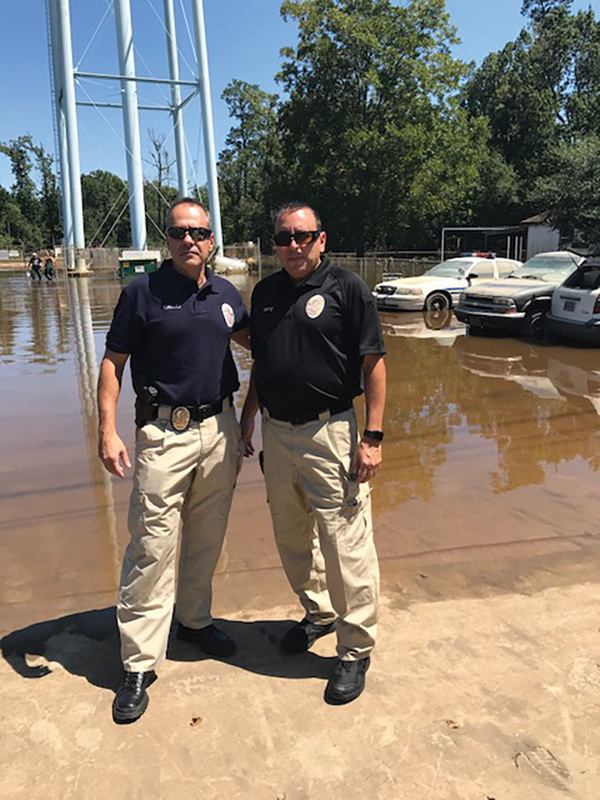 With that in mind, and with the heart to assist our brother and sister officers in surrounding towns of Houston, Motor Sergeant Jon Aufdemberg, South Traffic Division (STD), reached out to determine which agency was in dire need of immediate assistance. 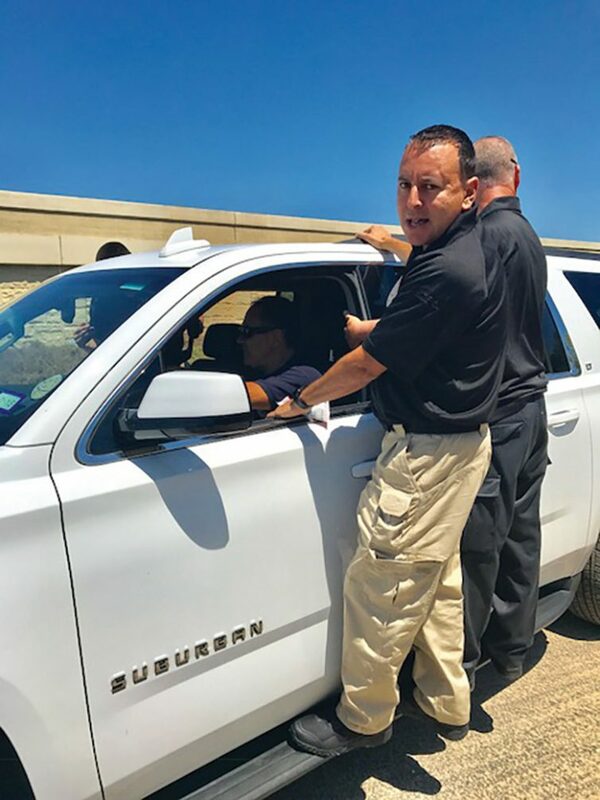 Captain Jon Tom, Commanding Officer, STD, organized a group of LAPD officers and headed to Rose City Police Department and Jefferson County Sheriff’s Department in Texas to assist those agencies. When they started on this journey, they weren’t looking for any recognition or accolades. In fact, they discussed as a group that they purposely didn’t want to draw attention to what they were doing. They simply had the heart to serve others. 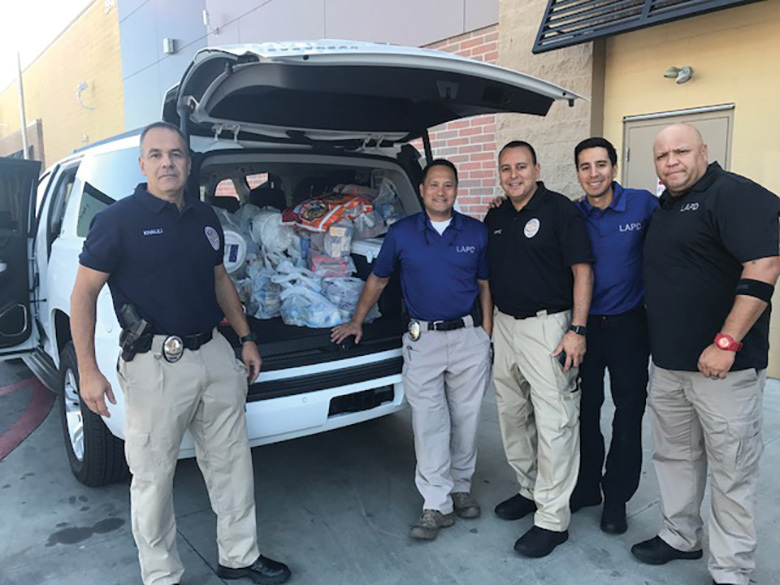 The LAPD cadre, called the LAPD Houston Area Relief Team (HART), purchased groceries, generators, radios, gas cans, cleaning supplies, chairs and other supplies for Rose City Police Department, which is composed of the mayor, a secretary and three city marshals. Their town hall/police station was under four feet of water, and they lost all their police vehicles except for one, and all their radios. Their uniforms and boots had been ruined by the constant rescues and work in and around flooded areas. 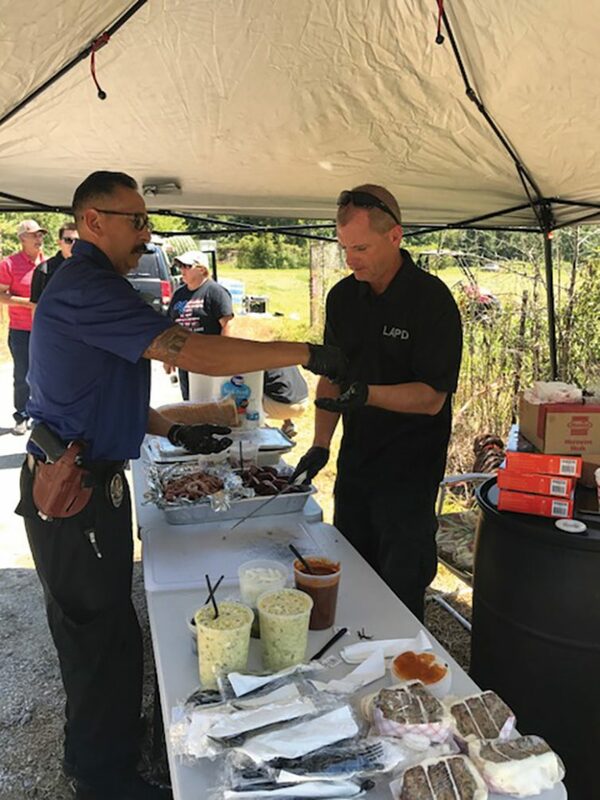 Reserve Officer Eric Ortiz, PII Jesus Arreguin, Det. 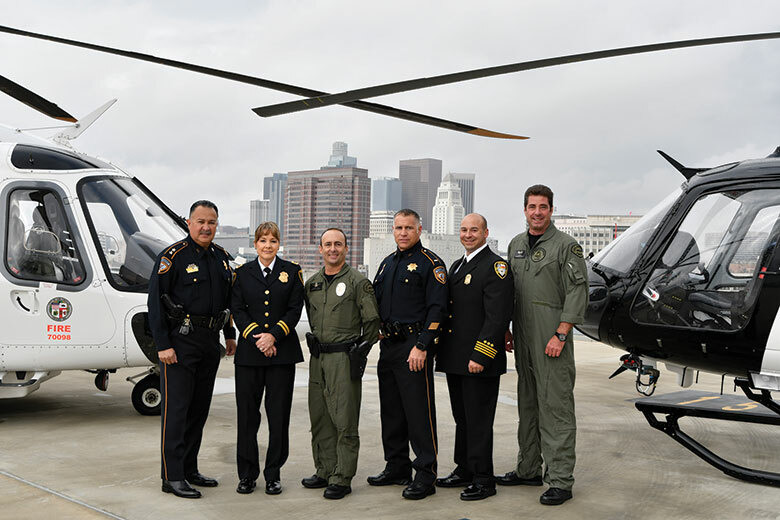 II Ryan Moreno, PII+II Rudy Baca, PII+II Steve Griffith, Deputy Lovette, Capt. 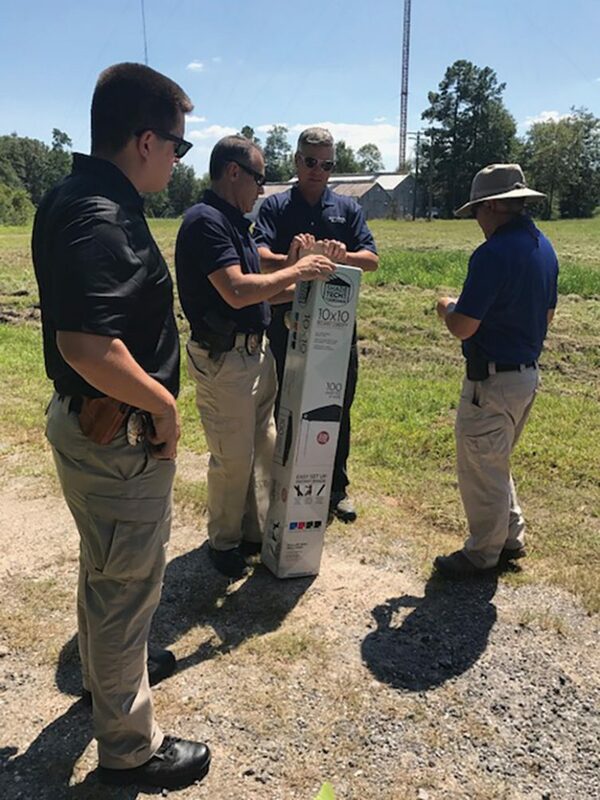 Jonathan Tom, unknown Jefferson County Sheriff’s Deputy and Sergeant I+II Jon Aufedemberg in Bevil Oaks, Texas after a $1,611.27 check was presented to Jefferson County Sheriff’s Deputy Kevin Lovette. I would like to thank the following officers for their selflessness in the quest to assist the law enforcement agencies and the residents of Rose City and Jefferson County, and a special thanks to Reserve Officers Bernard Khalili and Eric Ortiz, as the trip wouldn’t have been possible without them: Captain II Jon Tom, Commanding Officer South Traffic Division; Sergeant Jon Aufdemberg, STD CSOC; Detective II Ryan Moreno, STD; Motor Officer PII+II Rudy Baca, STD; Motor Officer PII+II Steven Griffith, STD CSOC; Police Officer II Jesus Arreguin, STD; Reserve Officer Bernard Khalili, Major Crimes and Hollywood Division; and Reserve Police Officer Eric Ortiz, West Traffic Division, and his son, Kevin Ortiz. 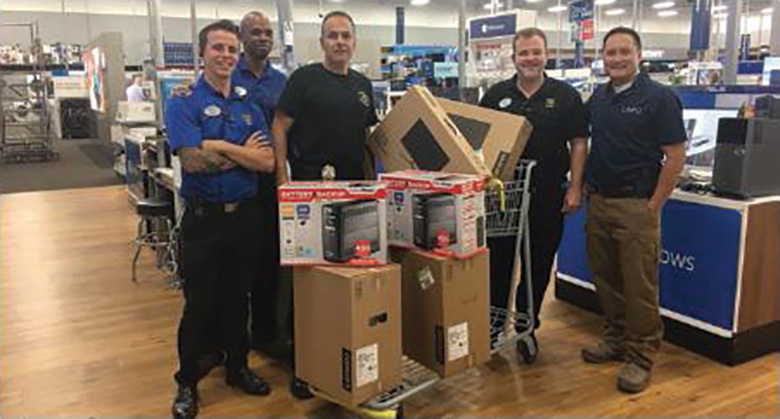 Unknown Best Buy employees, Reserve Officer Khlili, unknown Best Buy manager and Captain Jonathan Tom at a Best Buy where LAPD HART purchased two complete computer systems (monitors, CPUs, battery backup and surge protectors) for the Rose City Marshal’s Office. 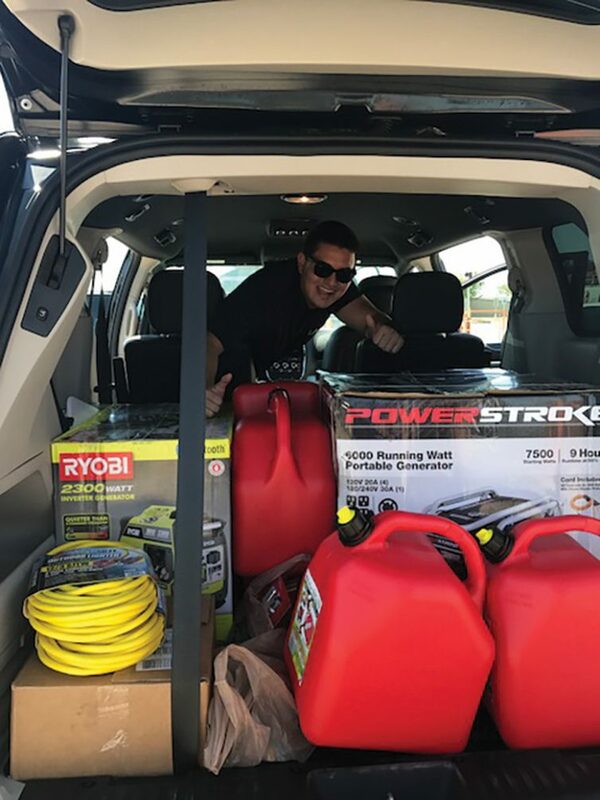 This was a team effort, and this trip was made possible thanks to donations by officers assigned to South Traffic Division, Operations-South Bureau and Harbor Division. 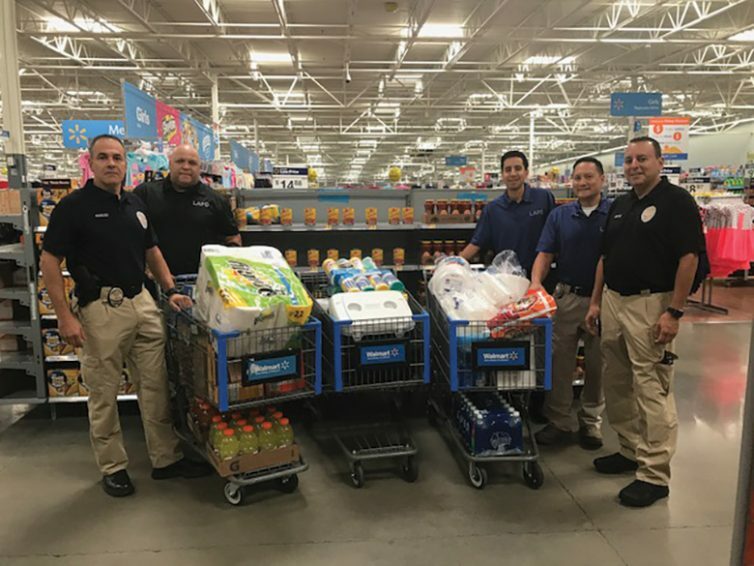 Every officer on this trip paid his own way, and all of the money raised went to the victims in the Houston area. Ofcr. 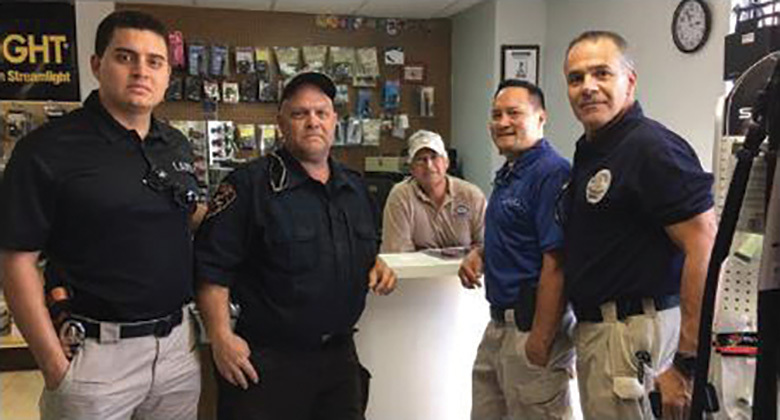 Arreguin, Rose City Deputy Marshal Ken Bost, Tony Cervantes (owner of TND Workwear), Captain Jonathan Tom and Reserve Officer Khalili in Beaumont, Texas at TND Workwear (uniform supply shop) where LAPD HART purchased three complete uniforms (two pairs of boots, equipment belts and two pairs of handcuffs) for each Rose City Marshal. Oscar Joel Bryant Association (African-Americans in law enforcement). 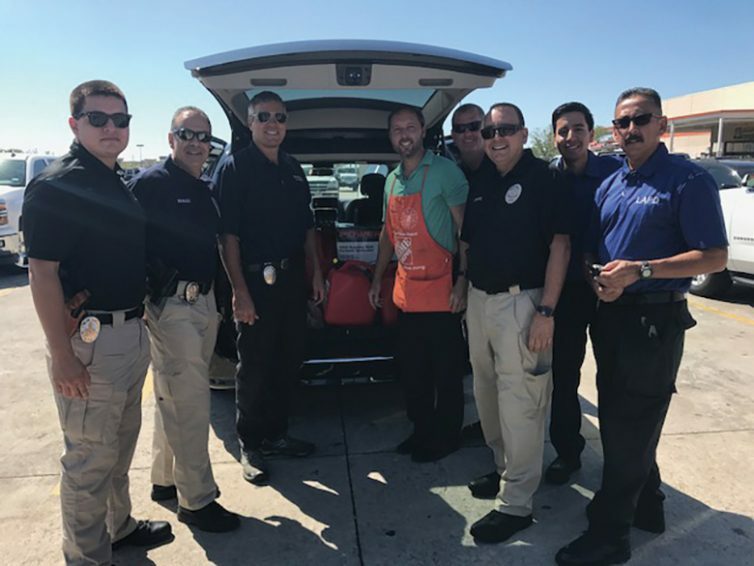 Councilmember Englander, who also serves as an LAPD reserve officer, noted that “Just because these brave men and women put others first does not mean they do not need our help.” In his comments, Englander mentioned Reserve Officers Bernard Khalili and Eric Ortiz, who traveled to Texas to help as part of mutual aid (see accompanying article). Chief Beck spoke of the contract that society has with its protectors. 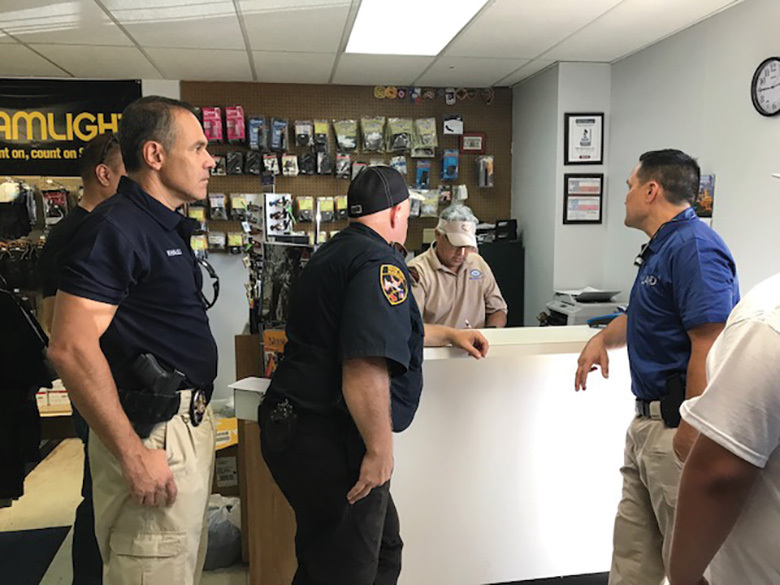 When society dials 911, “We will respond and we will put ourselves in jeopardy to save you,” he said, adding that the other side of the contract is that society will support its first responders when they need it. “Now it’s your turn to help them,” he concluded. 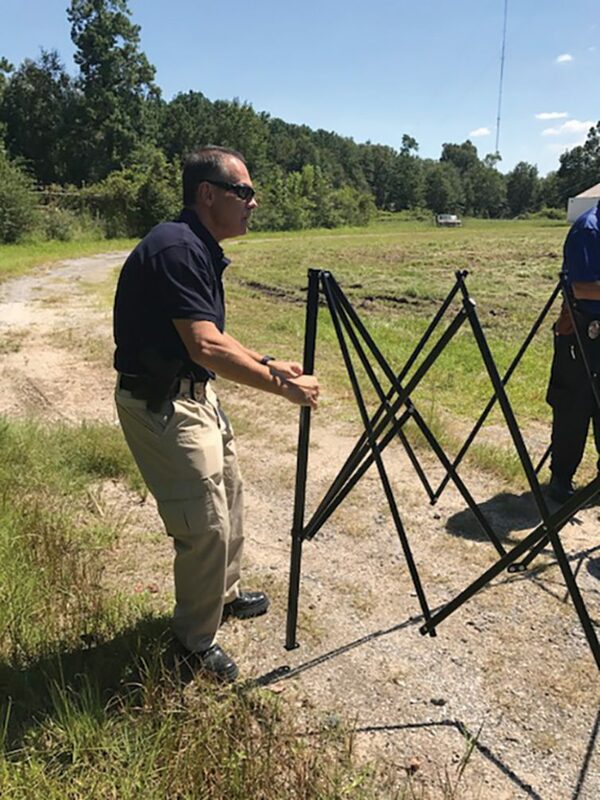 At the end of the press conference, Reserve Specialist Ordin presented a check for $10,000 as a financial commitment to the First Responder Fund. 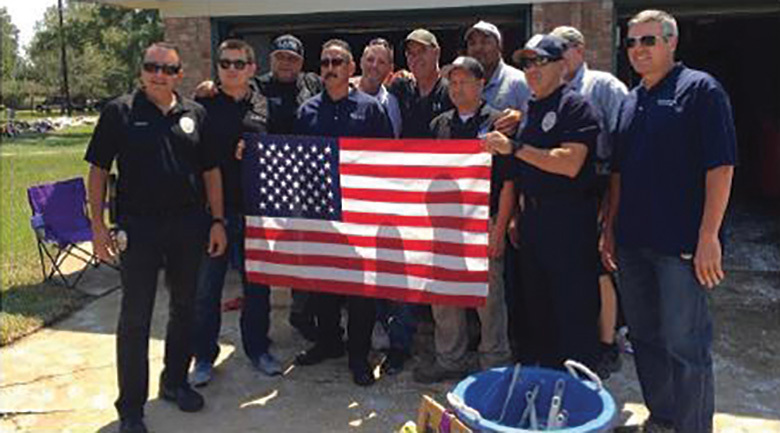 The monies are on behalf of the men and women of Air Support Division and the Air Support Angels Foundation. 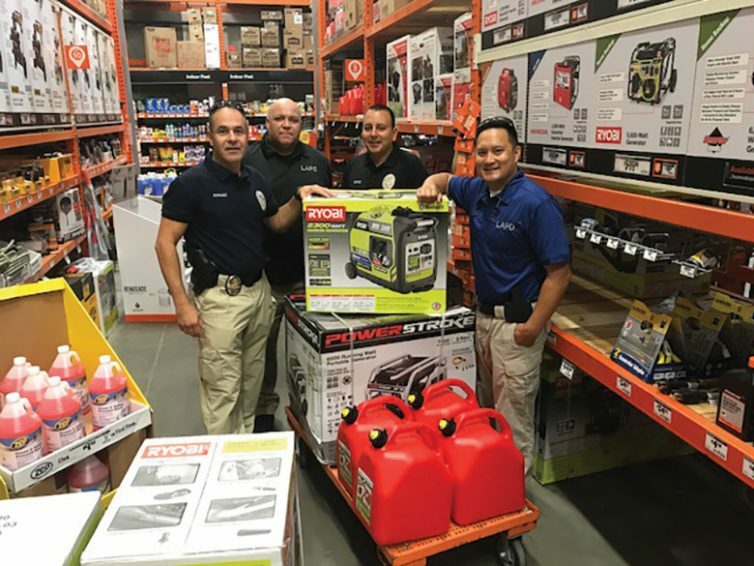 It should be noted that the idea and the magnitude of logistics for the First Responder Fund came from the teamwork of full-time LAPD Command Pilot Adam Greenburg, working in conjunction with Reserve Specialist Ordin. To donate to this fund, go to firstresponderfund.com or text “help911” to 41444. 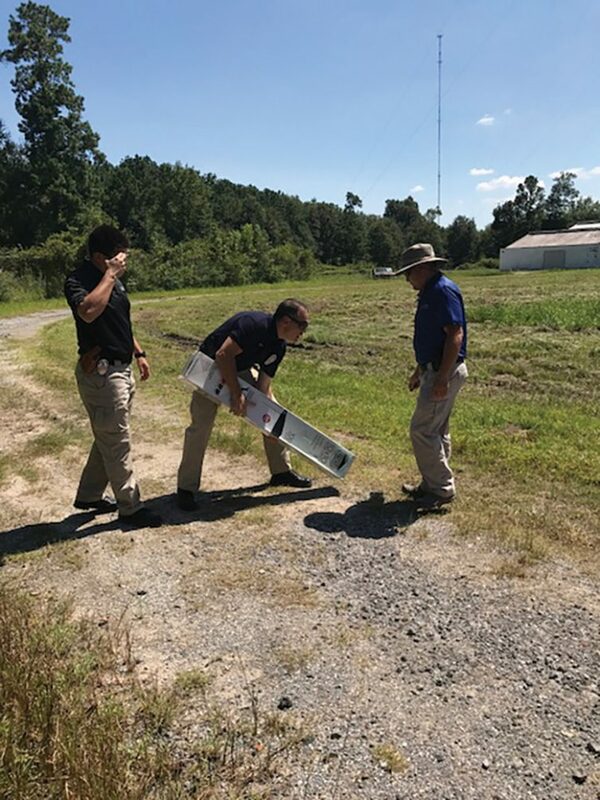 Reserve Specialist Lance Ordin is the president of the Air Support Angels Foundation, which is also managed with Reserve Officer Terri Lincoln, a former full-time Air Support command pilot.